Having a spacious and luxurious bathroom is on most peoples wish list. 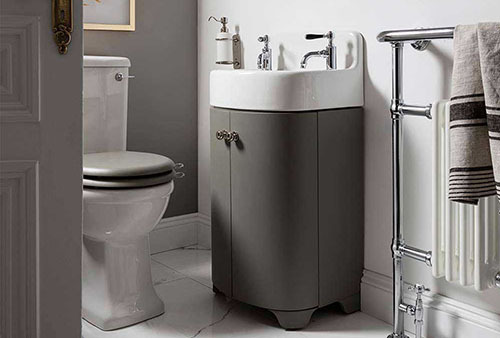 Now, thanks to innovative and creatively designed bathroom furniture combined with some clever trickery it is possible to transform your existing small bathroom or en-suite. Alternatively, maybe you are considering on installing a further cloakroom downstairs for guests to use or just for practical reasons for the family. Building Supplies Online are on hand to help you identify the many ways you can make your small footprint area feel and look dramatically bigger. A project such as this can be a lot of fun and a great opportunity to discover your creative side. 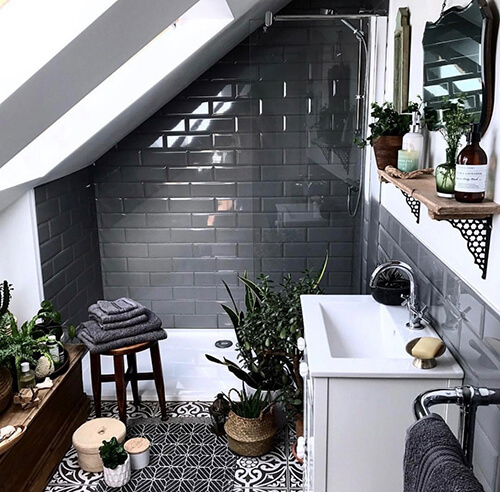 With careful planning you can utilise the space you do have wisely and make available every awkward corner and angle in your bathroom to gain the maximum use from it. A key point to remember when planning to make your bathroom feel and look bigger is to keep bathroom furniture, fixtures and fittings compact, sleek and simple with no clutter or unnecessary items on show to help you create the desired maximum impact in style and design. Choosing the right practical storage solutions is important in helping you to do this. Work around those difficult dimensions and don’t let them defy you. There is no such thing as un-usable space, you just need to find the best design solution to conquer it. Colours are best kept light such as a classic white, pale grey or pastel colours. That doesn’t mean to say don’t use colour at all but introduce colour in small doses so not too bright and bold making your bathroom or cloakroom feel even smaller. White walls look striking against a very dark floor even in a very small space such as an under-stair toilet, this combination of contrasting colours works beautifully. Check out our range of wood-effect tiles which offer the beauty of real wood but with the practicality of bathroom tiles such as our Fabulous Splendid Walnut Tile. You will never look back! You just need to be careful when using white or a very pale colour not to lose personality in your bathroom and it becomes too clinical looking. Be sure to add warm characteristics. This can be done in the form of fixtures and fittings, accessories and fluffy towels. The finishing touches are important in order to make your space inviting albeit if it is a big or small area. Over the last 12 months, Building Supplies Online has seen a big surge in popularity of the Metro tile (think London Underground for a stunning urban look or Downtown Abbey for a beautiful traditional style – both options look amazing). Available in soft colours including white highly beneficial in reflecting important natural light and accentuating that streamlined look. For the ultimate sumptuous finish why not combine with a coloured grout such as grey to really give your bathroom an outstanding look straight out of a design magazine. 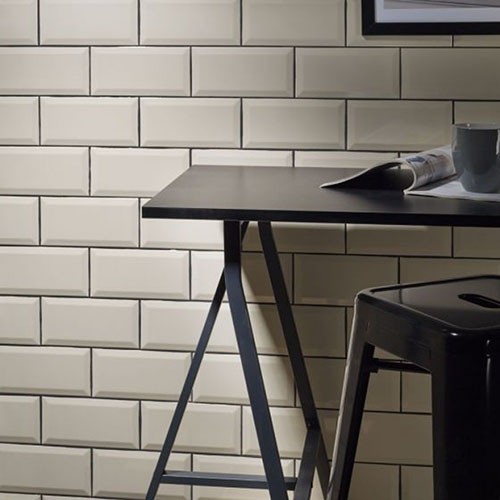 Don’t forget many of the tiles available at Building Supplies Online can be ordered as samples first allowing you to ensure it is the right tile for your design project. Adding luxurious looking fixtures and fittings in trendy finishes such as copper and blush pink metal will bring in an element of urban chic and timeless which fits into any contemporary or traditional décor you are looking to create. If you do long for pattern on your walls, then horizontal lines will assist with the illusion of length and vertical lines will make the room look taller. 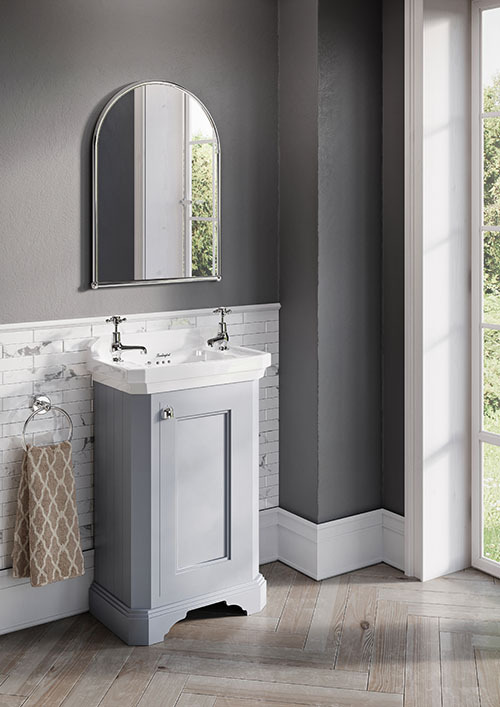 Bathroom furniture such as basins and baths are easily found in all sorts of sizes and stunning shapes now, so you won’t have a problem finding essential pieces to accommodate your small bathroom and it doesn’t mean you have to give up on an idea of a bath altogether as we have many petite sized bath options here at Building Supplies Online. 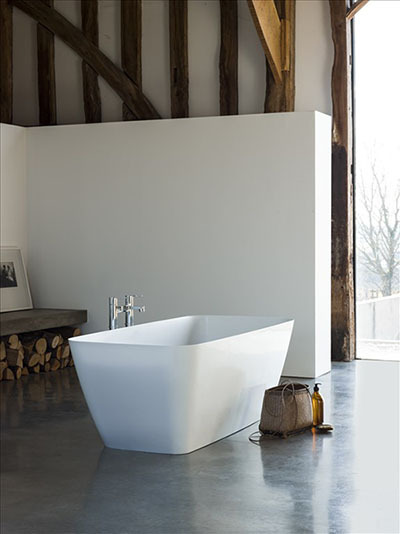 A great space saver is our L and P shaped baths and shower combination units which as well as looking great are also allowing you to still maintain both options of a bath and shower in your small space. 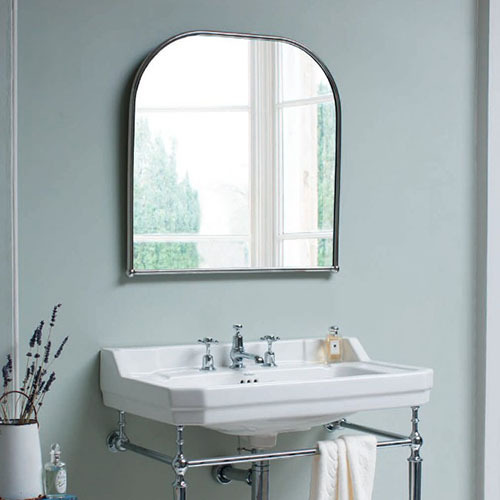 Choosing where you install your bathroom furniture is important part of re-configuring and designing your chosen space. If you have roof eaves this is a fantastic opportunity to show off the uniqueness of your bathroom’s shape by adding in a focal point such as a petite free-standing bath and will really wow your guests. Of course, as you may not need so many items of bathroom furniture, this may allow you if budget permits, to spend a little more on quality, which will result in a look of luxury and indulgence too. We love the Quartz Floor Standing Shower Tap which is designed to work with a free-standing bath to obtain the height of modernity and opulence. This will be a feature point in your small bathroom and the envy of guests. Wall-hung furniture is advisable when looking for those all-important essential pieces. 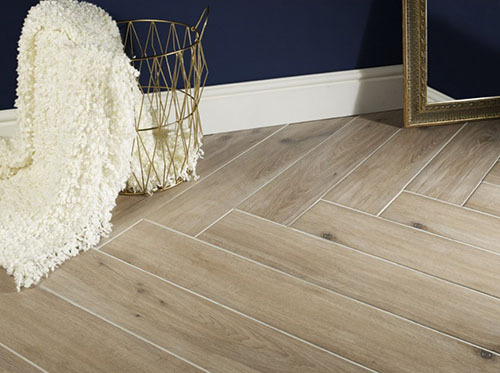 As well as looking super stylish and currently on trend they will also really help in making your space look bigger as you are able to see the flooring under those furniture pieces therefore elongating floor space. Wall-hung furniture is available in a variety of options including wall-hung basins, vanity units, combinations of the two and wall-hung toilets. An additional benefit to a wall-hung toilet is the cistern and paperwork will be hidden behind a false wall further assisting in the look of your sleek and minimalistic bathroom. Installing a false wall is not at all difficult to do especially with the many ‘go to guides’ now available on the internet to take you through this step by step. A further trick to aid the illusion of a bigger bathroom space is using mirrors and soft lights. If possible, place a large mirror or even better a storage cupboard with a mirror frontage for further storage options to reflect more natural light in to the rest of the room and add depth. Spot lights are far better than one intense harsh light in the centre of the room as they will have a softer effect and add elements of glamour when the nights draw in. Towel radiators are brilliant for adding warmth in your bathroom during the colder months eliminating the need for radiators and again making your space that little bit roomier besides contributing to the sleek look and of course not forgetting importantly it will keep your towels nice and toasty warm and soft. 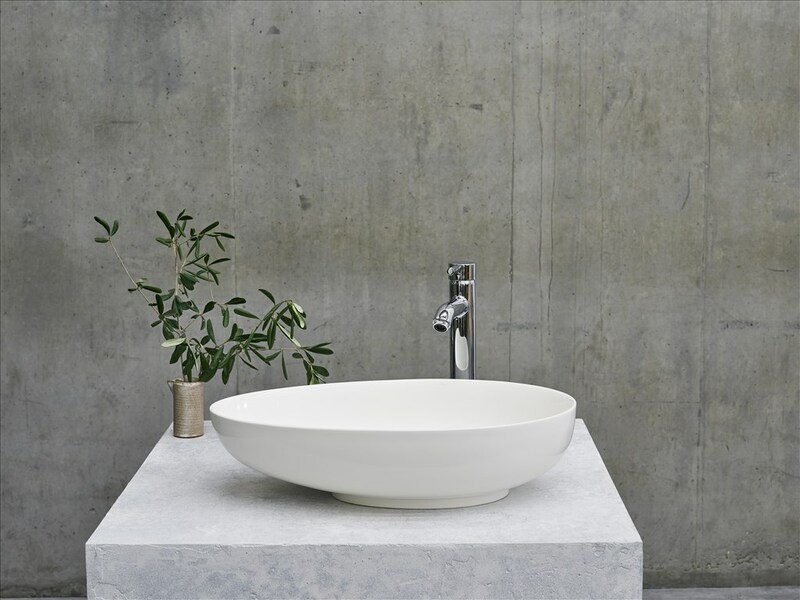 Manufacturers have really made it possible for us to fill those null corners by producing handbasins, toilets, showers and even baths in a corner shape solution. This is fantastic for us who have such a project. 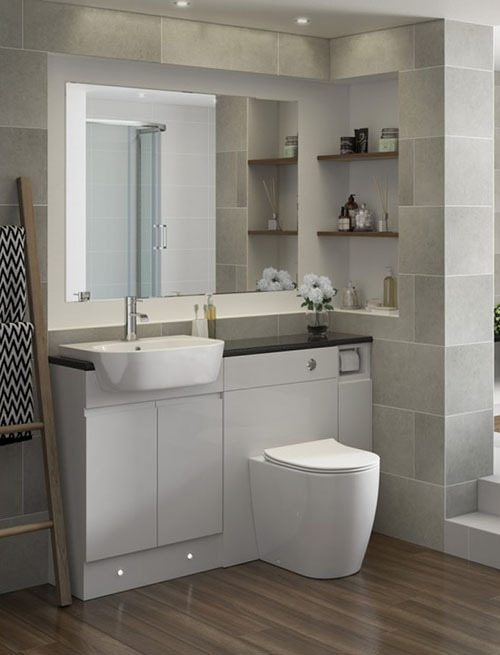 Alternatively, you could opt for 2-feature comprising of toilet and handbasin in one unit or even a 3-feature combination units combining toilet, hand-basin and vanity unit to have all your essential furniture pieces assigned to one wall and still having full practicality of a standard size bathroom. If you love going to the spa, (and who doesn’t right?) Then replacing your bathroom door with one encompassing frosted glass panelling will provide that gorgeous serene and luxurious feeling as well as providing natural light to flow through your small bathroom. The more natural light available the bigger your bathroom space will feel. If the budget permits and you are lucky enough to have roof eaves incorporated in the landscape of your bathroom then consider a roof window. This will provide the ultimate natural light and transform your entire room especially if you do implement a bath directly underneath. Bath times will never be the same again! Look at our large selection of roof windows from the UK’s leading manufacturer, VELUX Windows. With the little touches such as fixtures and fittings try to keep these to a minimum where possible. Remember, when designing a small bathroom; less is definitely more! Wall-mounted taps and shower kits are great options to continue the modern look and feel to your bathroom whilst maintaining space around your hand-basin and bath area for those all essential toiletries you like to keep to hand or those gorgeous looking perfume bottles you wish to display. 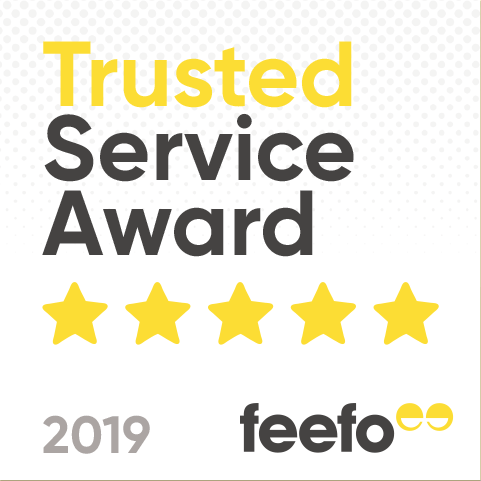 If you have any questions at all on any of our bathroom ranges, big or small, please don’t hesitate to join us on live-chat where our customer service team will always be happy to answer any query you have.